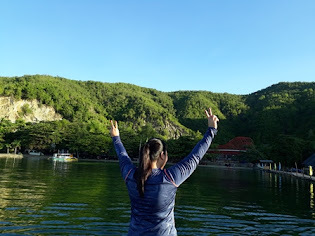 It was when I first visited Moalboal, Cebu (my sister's place) when I heard so much about diving. Scuba Diving offers people the opportunity to see what life is like below the water. Sounds fun and interesting, huh!! Not quite for me though, but for recreational divers, they certainly enjoy exploring the ocean's beauty... The pictures you are seeing below is rated as one of the top dive sites off the west coast of Cebu Island. 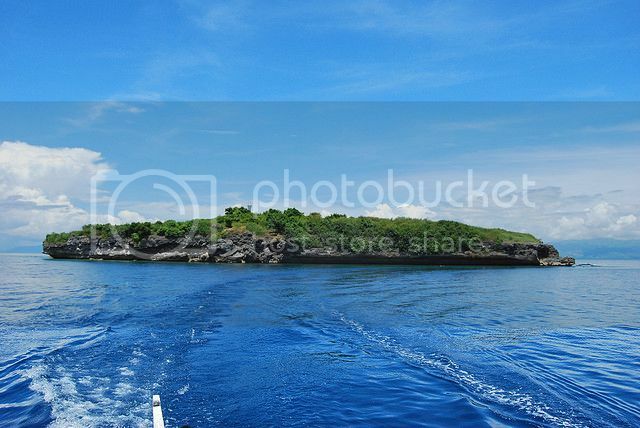 Pescador Island itself is a small island about a 20 - minute boat ride due west from Moalboal. It has a level which surrounds the island varying in width from a few metres to around 20 metres. On the northeast side of the reef level there are several large rocks and coral heads which break the surface. Here the reef plateau slopes down to around 8 - 10 metres where it then drops away vertically into the pit. The entire circumference of Pescador is essentially a wall dive with overhangs and small caverns and holes in the reef wall where you can enter and exit carefully. The upper level has lovely acropora and stony hard corals which provide a colourful backdrop in the shallows. As you descend towards and beyond 30m there are prolific soft corals which require less light to thrive. Stonefish and white frogfish frequent the reef wall and the top 15 metres is quite literally teeming with life. Turtles are a common site swimming and feeding on the reef. Currents can be strong on Pescador so dives are normally "one way" with boat drops and pick-ups carried out at different spots on top of the reef level. My friend ( a dive shop member) my 3 year old niece and I were having so much fun when we came along with Canadians and Japanese divers to visit the island one fine morning. I didn't dive, though but I enjoyed taking pictures around as well as watching my friend and my little niece as they were trying to combat with the water's current (lol..) Jusr what a great escapade it was!